The World Food Travel Association will host the fifth World Food Travel Summit & Expo in Estoril, a seaside town not far from Lisbon, April 6 to 11, 2015. Delegates will take two-day tours exploring the country’s culinary culture. Estoril, with its grand hotels and stately mansions, has been called the “Portuguese Riviera.” So beautiful is the region that EuroBound includes it in a series of Great Drives along with the French Riviera, the Amalfi Coast and others. The Estoril Coast, once a summer retreat for Portuguese kings, also served as place of exile for European royalty during World War Two. The show should bring more business to Portugal at a time when it’s already doing quite well. Last year was a great year, even a record year for travel to Portugal with more than 14 million visitors, a rise of 4.2 percent overall. Portugal also recorded a 16.4 percent increase in overnight stays by Americans, with revenues up 21 percent from the U.S. traveler. “American travelers are looking for two things: value for the dollar and the value of experience,” said Jayme Simões, a tourism spokesperson. “Portugal is strong on both counts.” Actually the counts are many as is proven by the distribution of these travelers throughout the country. 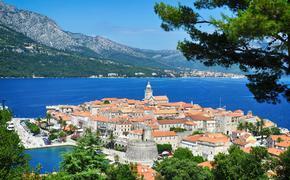 Every one of its tourism regions had increases in guest stays. 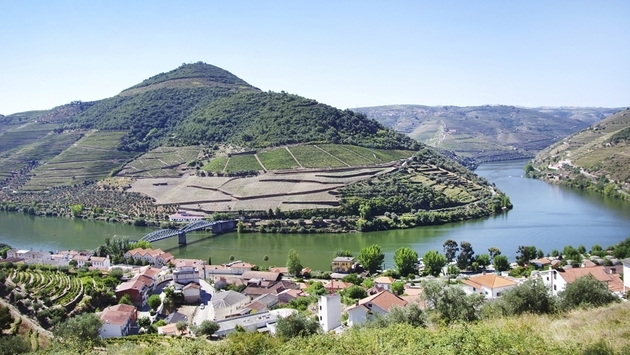 The Porto and the Alentejo regions grew respectively by 29 and 14.6 percent. Lisbon grew 8.4 percent, while the Azores grew about 7.4 percent. Travelers are beginning to figure out that Portugal is something quite different. A country bordered by the rugged Atlantic with many historical attractions, museums, a classic cuisine and a distinguished wine country at a very reasonable price. In September the Martinhal Beach Resort & Hotel, a five-star beach resort in the Algarve, tried to communicate the diversity of Portugal with a seven-night package and itinerary through Portugal that visits three destinations before reaching the Martinhal Beach & Resort, in Sagres. The package begins with Lisbon and the Four Seasons Hotel Ritz and ends in Sagres and the Martinhal Beach Resort & Hotel surrounded by the Natural Park and 22 beaches reachable within 30 minutes' drive. Pestana Hotels recently opened the first hotel in Europe with an Art District. 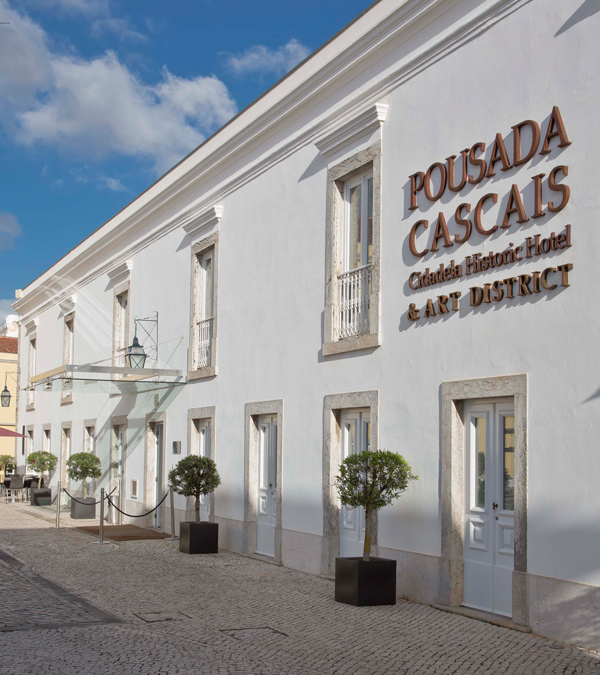 The Pousada of Cascais, member of The Leading Hotels of the World, changed its name in March to the Pousada Cascais – Cidadela Historic Hotel & Art District. The idea is to use the many spaces of Cascais’ Citadel – from the Pousada to the fortress walls – for exhibits and “in loco” creation by the residing and guest artists. The Cidadela Art District comprises six galleries and six open studios where artists can be seen during their creative process and the Pousada’s guests and visitors are always welcome. An ‘Art Concierge’ is available to guide guests and visitors through the hotel, the open studios, exhibitions and events. The Cidadela Art District calendar include six bimonthly and simultaneous shows, three annual concerts and seven site specific interventions transforming the Cidadela into the new agent provocateur in country. The Argive and Lisbon are just two dimensions of travel to Portugal. Another dimension is sprinkled across the waters of the Atlantic. The Azores are nine islands about 900 miles west of the European mainland created by volcanoes. SATA Airlines likes to point out that they’re just a four-hour flight from Boston. S. Miguel is the largest and is home to crater lakes the most crater lakes, geysers and golf. Terceira is the most cosmopolitan island with plenty of nightlife in its capital Angra. S. Jorge is known for its highlands and its cheese, while Santa Maria is known for its sandy beaches. History lovers should call in at Faial Island as the New World explorers did. In the days of wooden ship transatlantic passage, Faial was the last European port before venturing to the Americas. Those ships stopped in Horta. The seafarers left their mark, creating a giant collage of inscriptions and paintings on the walls and sidewalks of the marina’s jetty. Today Horta is a yacht mecca. Six Senses will open its first resort in Europe next spring, in the wine-rich UNESCO-cited Douro Valley. The vine terraces of the Douro Valley are said to glow amber under the afternoon sun. The new resort will cover 19 acres and features 71 rooms and suites which range from Valley, Spa and River rooms to suites and villas with one, two and three bedrooms. Six Senses will bring what it does best with its 24,000 foot spa even as it features what Portugal does best in an all-day dining restaurant and a specialty restaurant that features the valley’s fresh produce. The resort’s Wine Academy presents leading vintages from the area where guests are guided in the varieties and styles by leading Portuguese winemakers from the surrounding valley and the resort’s sommelier. Just outside of Porto, Portugal’s second largest city, the Pedras Salgadas spa and nature park is now featuring modern eco houses with a thermal spa housed in the restored building that was the nineteenth century Pedras Salgadas Spa. The eco houses, set in an ancient forest, accommodate up to six people, and have a large outdoor deck. The thermal spa, renovated by the architect Alvaro Siza Vieira offers a wide selection of spa, wellness and beauty treatments, making the most of the benefits of Pedras Salgadas’ hot water springs.